offering unique ad formats served across premium sites. 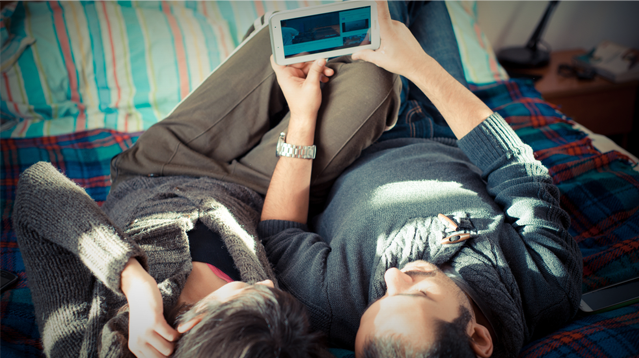 Programmatic video buying? Absolutely. Our deep relationships with leading online publishers allow us to program for the right audience in the right video property. Get authentic engagement and high CTR using our tools that build creative brand experiences for online video viewers. Artimedia offers the most interactive video ad formats in the industry, which blend ads with video content while keeping viewers engaged and on-site. We use an exclusive Content-Sync video advertising algorithm that uniquely leverages automated and scalable content analysis and delivers the strongest results across online video. With EngageRoll you pay only when someone chooses to watch your video-ad, so you don’t waste money advertising to people who aren’t interested in your business. This unique format leverages the simplicity of display ads and the inherent engaging element of video to drive higher engagement while optimizing viewing experience as never seen before. One of the most revolutionary formats in the industry, it shows standard overlay ads without obscuring content to maximize engagement. Using content-analysis technology to identify the best opportunities between video scenes, it introduces mid-roll ad breaks in order to minimize disruption to the viewing experience. Uniquely combine multiple ads in sequence to create a compelling brand experience. Wraps together a preroll ad followed by multiple ad units (TargetRoll, SmartOverlay), which are guaranteed to be shown to the same viewer. Artimedia’s end-to-end advertising solution combines a state-of-the-art video ad server, an easy-to-use campaign management and a fully automated holistic optimization, driving millions of impressions every day. This platform matches advertiser’s campaign audience and content targeting criteria with actual viewers to deliver the best performance at the most optimal price in real time. Manage all your video campaigns from a single, web-based user-interface, accessible from any end devices. You have full control over pricing, targeting and performance – anytime, anywhere (just like on Google™ and Facebook™). Artimedia offers in-depth analytics for optimizing performance, with a breadth of reporting and analysis metrics. The platform constantly measures and tracks each campaign’s performance, fine tuning to deliver optimal results. This includes creative-rotation, scheduling, frequency capping, pacing and additional controls. With Artimedia you can maximize the monetization of your desktop and mobile video inventory and increase your revenues by integrating new ad formats that seamlessly blend in video and avoid banner blindness. 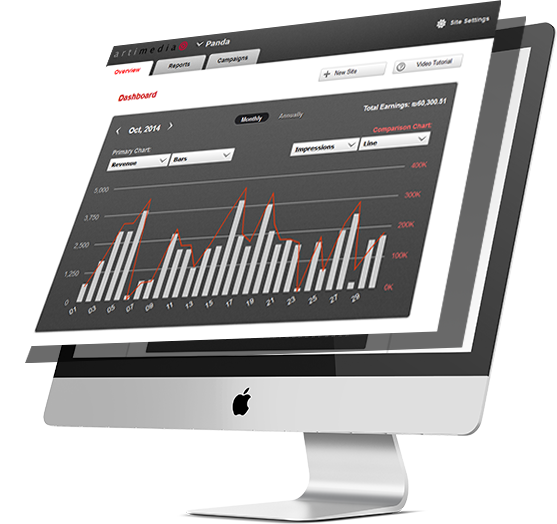 Access our easy to use system and enjoy holistic yield management, with real time data about performance and revenues. Fill your video properties with high-quality advertisements of top brands, while ensuring profit according to the goals you have set. Ad policies – set up elaborated ad policies to define which video assets are used for advertising, what ad formats will be used and at which frequency and volume. Campaign moderation – review campaigns and creatives before going live, at any time and from any place.